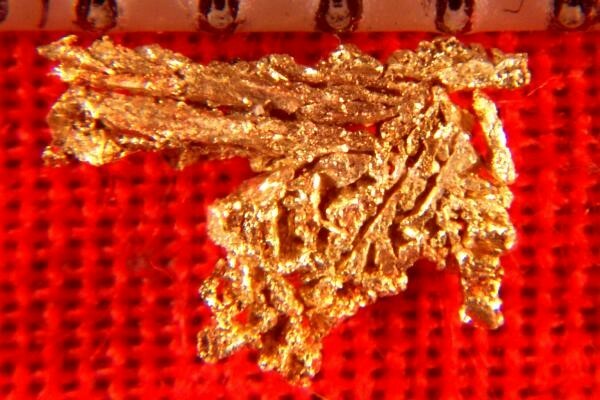 It isn't often that you see such well defined gold crystals as what is on this amazing gold specimen. Under magnification you can see that it is made up entirely of distinctly formed octahedron crystals on one side. On the other side is fine wire gold crystals. 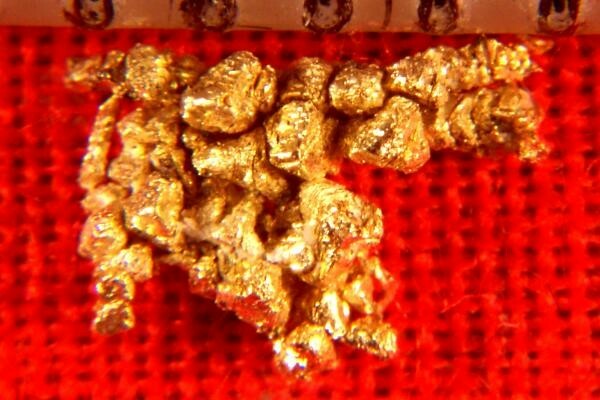 This amazing gold specimen is from the famous Round Mountain Mine in Nevada. It is 1/4" long (6 mm). The weight is 2.3 Grains (0.15 Gram). You would be very pleased to have such a spectacular gold crystal specimen in your collection.